Always top notch work and service. Mark’s an interesting and friendly guy who is well traveled. 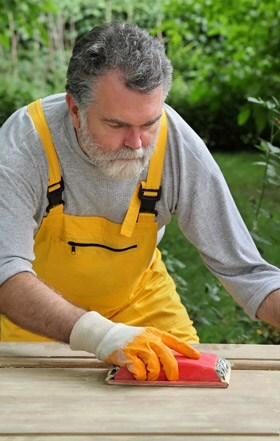 Looking for a reliable handyman to take on your home improvement projects? Badger Handyman is here to help. We offer a wide variety of services like home repair, room additions, finish basements, painting, and whatever odd jobs standing between you and living in your dream home. We service the Madison and Wausau areas in Wisconsin. 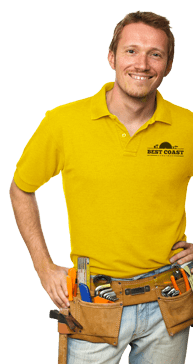 We understand the risk of hiring a new handyman or contractor, you can be at ease knowing your project will be overseen by Mark Hastreiter, our construction guru with over 40 years of experience in all things real estate. All of our work is guaranteed and we’ve got amazing customer support ready to answer your questions. Mark really pulled through for us. After two weeks of different contractors saying they’d come replace our leaking window I finally came across Badger Handyman. Not only did Mark arrive when we agreed, he was tidy and the quality is great. I know who I’m going to next time. Thanks again Mark! How long will it take to start the job after I submit a request? One of the founding principles that Badger Handyman is built on is honesty and transparency. When we tell you we’ll be there, we will be there. Assuming we don’t need to order any special materials for your project, we will be able to start from 1 to 5 business days. I already have my own matching supplies/materials, can we use them? This will be determined on a case-by-case basis, but generally it’s no problem. If you spent two weeks picking the perfect shade of off-white for your bedroom and you need a drywall repair, we’ll happily finish the job with the paint you already have on hand and of course not charge for the materials. With that said, our handyman has spent decades working with nearly every different material you can buy and knows what works well. In order to minimize the chance of material defects we prefer to bring our own materials and supplies. This especially applies to adhesives, fasteners, and sealants where poor quality could cause problems later. The material cost will be built into the estimate and will not be charged on top of what we quote you. I’m a landlord with multiple properties – can we arrange discounted service? Developing a relationship with ongoing customers is at the core of what Badger Handyman stands for. Every situation is different, but we are generally happy to work out a discount for landlords and commercial properties. Contact Mark at 715.305.2239 and explain your situation. Do you do small things around the house? Like hanging a picture? We are happy to take care of any of your needs as a homeowner. With that said, some things like this it isn’t necessarily cost-effective to call us out because our normal labor rate will apply. For example, to come out and hang a picture, it will cost $75. Yes. If there is an error with our workmanship within 30 days we will make it right. Although we use only high quality supplies on our work, material defects are outside of our control and will not be guaranteed by us. We will do everything we can to get the manufacturer to cover defects.